What if Natsume Sōseki were an anime character? Natsume Sōseki is going to be resurrected as an android university professor. This is an actual thing that will happen. Funnily enough, this might not actually be the quirkiest interpretation of Japan’s most admired author. 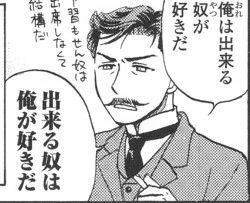 Not only have his major works been adapted into anime and manga, Sōseki has appeared as a manga character before. In Koisuru Bungou, the Meiji author is portrayed as a romantic shojo lead character, who also happens to be a sparkling bishonen. Apparently, this manga was part of a “Kyun-kyun Kuru!” educational series created in order to get kids interested in literature. Okay. 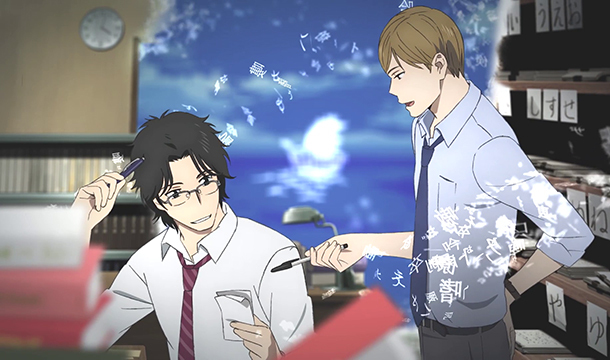 Then there’s the 4koma manga Sensei to Boku – Natsume Souseki wo Kakomu Hitobito, in which Sōseki is portrayed as a neurotic university professor and a bit of a tsundere. This might be an accurate description of him, given that Sōseki smiles in exactly none of his photos in real life. Natsume Sōseki is too moe. All these things got me thinking: what if Natsume Sōseki were a tsundere android professor in an anime? I feel that he could easily fit into the worlds of Joker Game or Bungou Stray Dogs, two anime airing this season. Let’s run them down.